"Jeremy's 14 Effective and Versatile Fly Package"
Get instant access to my 14 best flies in easy-to-follow step-by-step video tutorials today. Look over my shoulder for complete video instruction. Thousands of hours and $$ in my personal training drilled down to simple steps for you to follow. Enjoy the satisfaction, and cost effectiveness of building your own flies - These flies will get attention above AND below the water. Includes downloadable PDF's for you to follow along. Let us show you how to tie one of the most versatile and life-like searching stonefly nymphs anywhere. 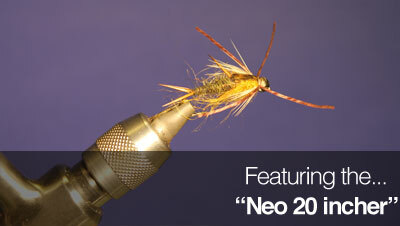 “Do you want to learn how to tie a very lifelike stonefly nymph that catches a trouts attention even under the murkiest water conditions? I was 19 the first time I tied my first fly. I had been fly fishing for years and it suddenly occurred to me – I can’t keep bumming flies off my friends and it’s expensive to keep paying $1.25 to $2.00 per fly! So I started tying flies. 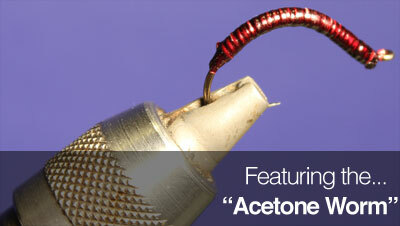 At first, I took a beginner course at a local fly fishing store in Edmonton, Alberta. I was concerned that it was going to be quite a challenge because I was never considered to be that co-ordinated, and fly tying requires a lot of fine motor co-ordination. I felt extremely frustrated at first because the first flies I tied were absolutely horrible, the instructor Mike even described my tying as “pretty grim” as most of my flies looked much worse than those of the other students! However, I refused to give up! I knew that fly fishing was a sport that I would participate in for the rest of my life, so I was motivated to learn how to tie – at the very least, basic patterns. I also wanted to save money in the long run by tying my own flies. So I persisted. I started getting the hang of it. As time went on there was more of an intrinsic motivation as it became very satisfying to catch trout on flies that I tied myself. In the first couple of years of fly tying I was starting to notice newer fly tying materials and I was inspired to experiment and develop my own patterns. I became intrigued with Arizona Dubbing Peacock because it allowed the tier to dub a thorax without using the more brittle peacock herl. When I came up with the Evil Weevil, almost all nymph patterns were tied on a “regular style” nymph hook and many used peacock herl. I chose to use a scud hook that had a shorter shank and a much wider gap which meant more hooking power and less lost trout. The Natural Peacock Arizona Dubbing was a great realistic imitation of real peacock herl and was quicker to use. The biggest solution that I was looking to remedy was hooking power and ease of tying, and this fly achieved both. The Evil Weevil is a very versatile little nymph as it can imitate mayfly, caddis, and small stonefly nymphs as well as scuds and backswimmers. 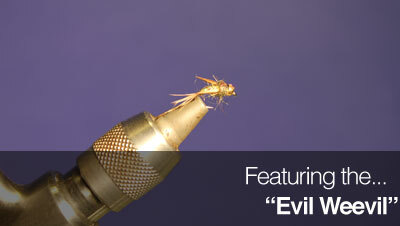 It can’t imitate everything though it is probably the most versatile fly pattern in my fly box . I have done both. And it could be an option to rely on if this is a hobby you engage in every few years or… if you can afford it! Today I would only buy if desperate. Following a pattern yourself and catching fish on that pattern is worth experiencing. 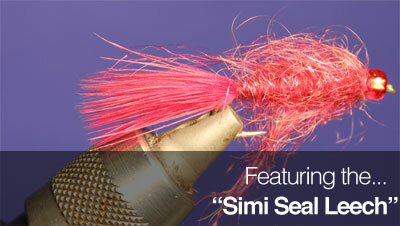 Tying new flies helps you create and express your creativity… and it saves you a LOT of money! Since then, I have continued to create at least another 100 patterns. The 14 that are for sale today represent the best of the bunch, and will not only help you catch fish, but will inspire your own creativity, should you desire to tie your own. Probably the most important thing I learned about fly tying is that any tying instruction or recipe for making a fly pattern is not written in stone. I have taken so many recipes for fly patterns and substituted materials to make a fly much better (in most cases). I encourage you to do the same following this video course. Sometimes the best training you can do is to just observe. For the past 20 years I have tied hundreds of thousands of flies, for myself, and professionally. IS THIS VIDEO SERIES FOR YOU? 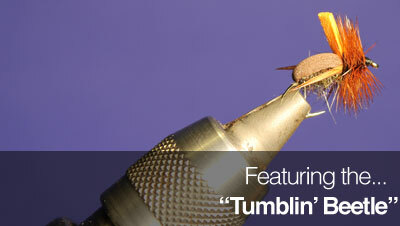 Fly tying is for someone who is very patient and committed. Learning how to cast is perhaps the biggest hurdle that you need to master before you can successfully flyfish- You need many hours of casting practice on a local pond or a school yard. How long does it take to learn how to tie flies? 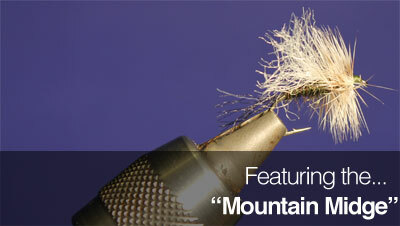 Fly tying is actually a lifelong hobby in which you can always upgrade your craft as new materials and tying techniques become more popular. So there is no standard answer. 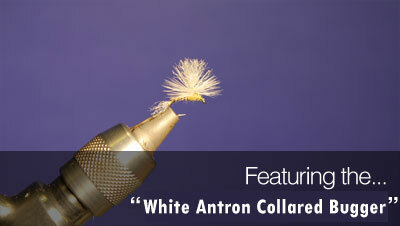 It also depends on your level of commitment as a fly tier and fly fisherman. If you only want to tie very basic flies like Hares Ear Nymphs, Buggers, Caddis, and Adams you could probably learn those patterns in three to six months with regular practice. If you want to master the hobby, it can take a lifetime. I’m continually learning and creating! 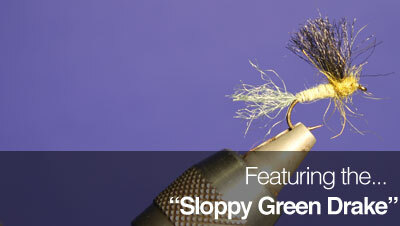 One of my missions with this website is to give the beginner and novice tiers fly tying advice and resources to assist them with their tying. There is no better way to start than to observe, learn, and practice. So here is what I suggest you do today. Invest less than $20 in these videos. 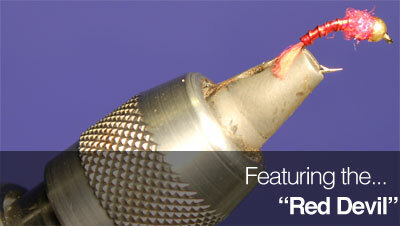 If you are not completely satisfied, we offer a 30 day money back guarantee – no questions asked. 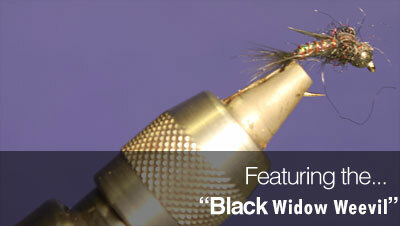 14 of Jeremy's best flies in easy-to-follow step-by-step video tutorials. Look over your shoulder for complete video instruction. Get thousands of hours and $$ in my personal training drilled down to simple steps for you to follow. Experience the joy, and satisfaction of cost effectively building my own flies - These flies will get attention above AND below the water. 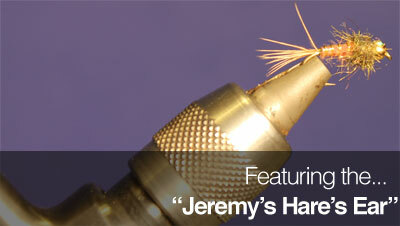 Access downloadable PDF's so I can follow along with Jeremy. The fly package is only $19.99USD. That's $1.43 per fly. Plus every video comes with a PDF to follow along. Click the button below now to claim your access securely via paypal. 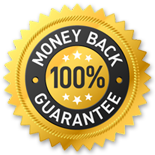 With a 100% money back guarantee, you've got absolutely nothing to lose. Put to work these videos for 30 full days. If you aren't thrilled with the results, and don't feel it's worth many times your investment, I'll refund 100% of your money for any reason, no questions asked.